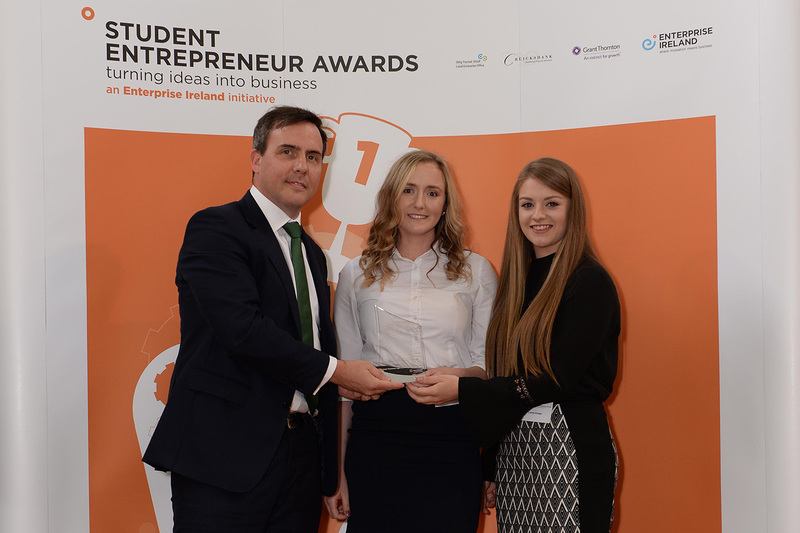 A final year Ag Science student from WIT and her business partner were the winners of the Grant Thornton Emerging Business Award in the 2018 Enterprise Ireland Student Entrepreneur Awards. PROgress Equine began as a college project with advice coming from entrepreneurship, tech transfer and biotechnology experts at WIT. Grant Thornton will also provide business plan development advice to the finalists, who also hope to apply to the Enterprise Ireland New Frontiers programme starting this autumn at WIT’s ArcLabs research and innovation hub. PROgress Equine is a company which formulates and produces concentrate feedstuffs for equines that is both environmentally sustainable and nutritionally superior to existing products. One of the keys to the potential of PROgress Equine is a growing population. “By 2050, there will be nine billion people on the planet. Using our current method of producing protein, we will not be able to meet the planet’s projected protein needs,” adds Lorna. “PROgress Equine’s protein requires substantially less land and water to produce, making it more environmentally sustainable than soya bean in the long-term. PROgress Equine aims to initially target large studs and equine breeders with a fully formulated ration in Ireland, Europe and the USA. Going forward, PROgress Equine’s mission is to transform the landscape of how we produce animal feed, both now and in the future,” notes Emma. For more information on the Student Entrepreneur Awards visit: StudentEntrepreneurAwards.com. Read more about the supports the students received.